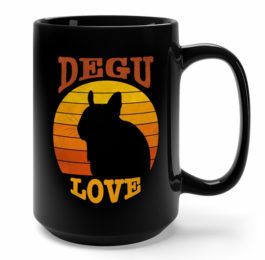 If you’ve recently added a degu (or a few!) to your home, you know there are tons of supplies and accessories you need to take of them. Most people know you need to buy a cage, food, toys, and other essentials. But a lot of new pet owners overlook one of the most important supplies you need to take care of a pet–and that’s medical supplies. Just like how you have band-aids and other supplies ready for the humans in your home, you should have similar health items for your degus. 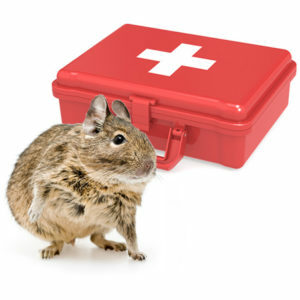 The best way to be prepared for sickness or injury is to put together a degu first aid kit. How Often Should a Degu go to the Vet? Every Degu owner should have basic medical supplies on hand to handle minor injuries and sicknesses. Some of the recommended items are easily available at your local pharmacy, others you may need to buy from your vet or online. We’ve included Amazon links to the less common items. Some of the medication and other perishable items will have expiration dates, so make sure you’re replacing those items as needed. Before you assemble the items you need for your degu first aid kit, you will need some kind of container to keep them in. This is so you can easily find the supplies you need since they’ll be in one place and also so you can grab the kit and go in the case of an emergency or sudden evacuation of your home. We recommend a hard plastic case that will protect your degu emergency kit from moisture. You can easily find something around the house, at most stores that sell organization items, or buy a specialty first aid box like the one pictured. include that information as well. Vetrap Bandaging Tape (Buy on Amazon) – A self adgesive bandage often used by vets. It does not stick to fur or skin, just to itself. Perfect for holding gauze on a wound. Bandage Scissors (Buy on Amazon) – to cut bandages and tape. Rounded tip helps prevent unintended injury to a squirmy degu. Styptic Powder (Buy on Amazon) – To help stop bleeding for minor cuts. This is the best stuff for if your degu accidentally rips out a nail or you accidentally clip it too close. Dip the toe in the powder and it will help stop the bleeding. Saline Solution – For rinsing wounds or debris from the eyes. Oral Syringes – Get a variety of sizes. Small syringes are great for administering medications and small amounts of fluids. Large syringes are good for feeding Critical Care and baby food. Ice Pack or Marble Tile (Buy on Amazon) – Use these to cool down an overheated degu or provide relief during hot summer months. Keep the tile in the fridge so it’s cool when you need it. If you’re using an ice pack, try to use one that you put ice in and not the ones with gel inside as they are toxic if your degu chews through it. Wrap the ice pack in a towel or blanket. Keep all these items together along with a carrier for your degus. If there is ever an emergency, you want everything to be easy to find. This is especially helpful if you live in a place where evacuations for natural disasters like hurricanes or wildfires are common. You may want to keep food, and treats packaged in small quantities in your degu First Aid Kit as a kind of “go bag” for your pet. When many people add a new young pet to their home they aren’t thinking about veterinary care. Usually, the pets are healthy and since exotic pets don’t require regular shots like cats and dogs, owners don’t think finding a vet is a high priority. The real truth is you need to find and establish a relationship with an exotics vet as soon as you add degus to your family. The last thing you want is to find yourself in an emergency situation and have no idea where to go to get treatment for your pet. The extra time spent looking for a vet could mean life or death for your pet. 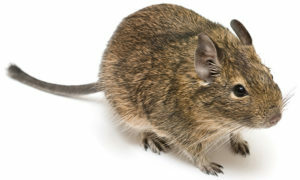 Because degus are one of the rarer exotic pets, it can be difficult to find a vet in your area who specializes in degus. Start with an internet search for exotic veterinarians in your area. Generally, a vet who has experience with animals other than cats and dogs will be more willing to invest extra time into research beyond their current knowledge. Make sure to ask questions about their experience with degus and what they do if they don’t know how to handle a new situation. If the vet doesn’t have experience with degus, you should make sure you feel comfortable with their communication and the level of interest they have in your pet. If your vet has limited hours, it is also worthwhile to research emergency vets and animal hospitals in your area that are open 24 hours and treat exotics. This information will be very valuable to have on hand because the worst emergencies always seem to happen after hours. 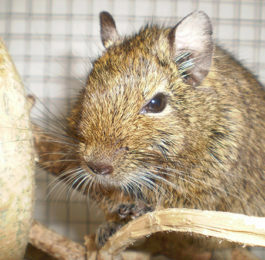 It’s generally recommended to take your degu to a vet annually for routine examinations. However, since it can be difficult to find a good degu vet, some owners find that it’s best to reserve vet visits for when the degu is ill.
As soon as your degu display any signs of illness, you should make an appointment for them to see the vet. Watch out for changes in behavior, lethargy, teeth chattering, limping, or change in eating or drinking. 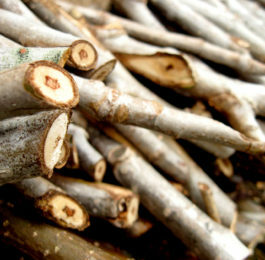 Any signs of blood, discoloration of urine, or strange smells should also be evaluated by a vet. Make sure you have a secure carrier available (like this small pet carrier from Living World) and ready to transport your degus whenever they need to go to the vet.